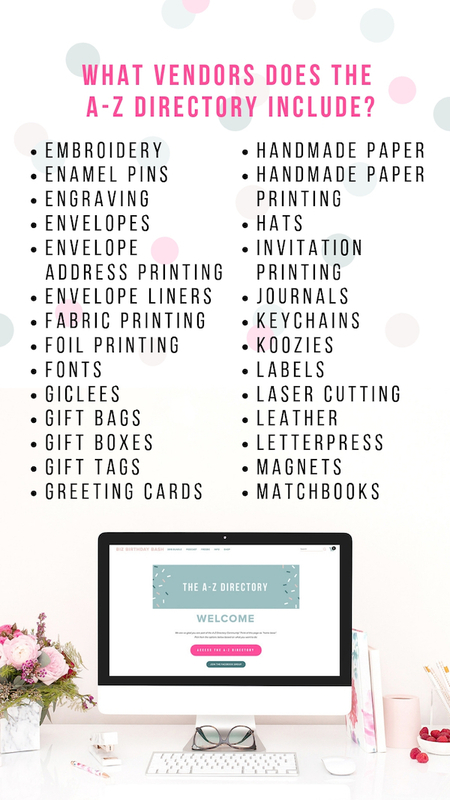 Built in the form of a yearly membership, the A-Z Directory is your one-stop-shop to every supplier you need, from wedding invitation printers and drop-shippers to custom coasters, mugs, napkins, greeting cards and more. Ditch the overwhelm and join now! Have you ever thought, “How did she do that?” Maybe you don’t know where to start and how the heck to produce the product you’ve dreamed up. The A-Z Directory is the missing puzzle piece in your biz. Vendors that we personally use will be indicated with a 🎂 emoji. Have a wifi connection? 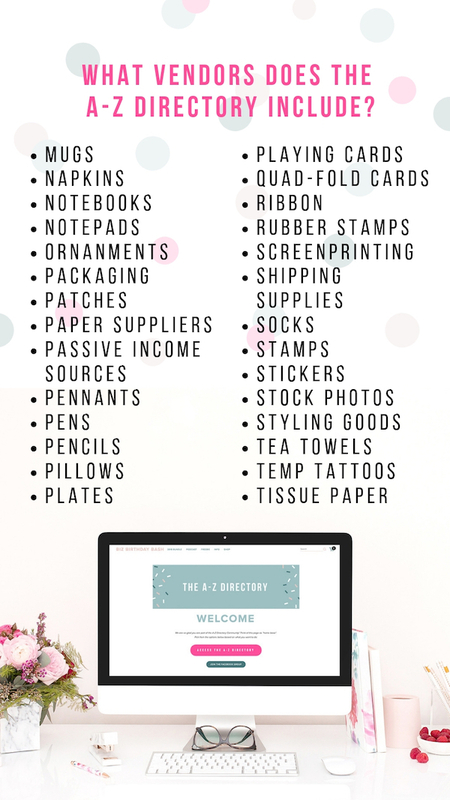 Then you have access to the A-Z Directory! Log in on your phone, iPad, desktop computer, laptop, you name it! Wherever you have an internet browser, we will be there. It’s time for you to do what you love and have the right info when YOU need it. You are under no obligation to renew your membership once a year passes. Cancel any time. If I’m already an established creative in my field, will this directory still be useful to me? Does a one-legged duck swim in circles? QUACK YES! In fact, the directory might be even more useful to you because you can compare your current vendors to new ones that you haven’t even discovered yet, and you know what you’re looking for. (Unlike most of those gals on The Bachelor, am I right?) We also hope the A-Z Directory sparks more creativity because you will have ZERO roadblocks on your production journey, and you can search less and create more. Since this is a membership, what happens when I cancel? All membership payments are automatically recurring. If you join between February 18-22, you’ll be grandfathered in at the discounted yearly rate of $97 a year, so you’ll never pay more than $97 per year. (That’s less than two Starbucks lattes a month!) If you join after February 22, membership will be $147 per year, and payments will be billed annually based on the day you signed up. Why do you include vendors that you haven’t personally used? We believe there’s no “one-size-fits-all” when it comes to production partners, so we’re giving you the options and freedom to choose from reputable vendors in the industry. You don’t need to use the EXACT vendors we use to have a thriving biz. (Plus the world doesn’t need mini copies of Cami Monet and ElisaAnne Calligraphy; it needs more YOU!) After our combined years of being in business, we’ve been able to sniff out the best of the best, and we’ve got the paper and product samples to prove it. Just because WE haven’t used them (yet), doesn’t mean they’re not worth their salt. (We’re creatures of habit, ya know?) And, of course, you can totes use the same ones we use as well. Just look for the 🎂 to see which ones we’re ordering from on the reg. What types of vendors are included in the directory? I live in Canada/Australia/a tiny island in the middle of the Pacific. Will this still work for me? Here’s the inside scoop-a-loop: most of the vendors in the directory are US-based, but we have specifically included international vendors as well to serve our fellow artprenuers all over the world! International vendors are notated with a cute little flag 🇨🇦 , and we even have an entirely separate list of JUST international vendors so you don’t have to sift through the main directory. 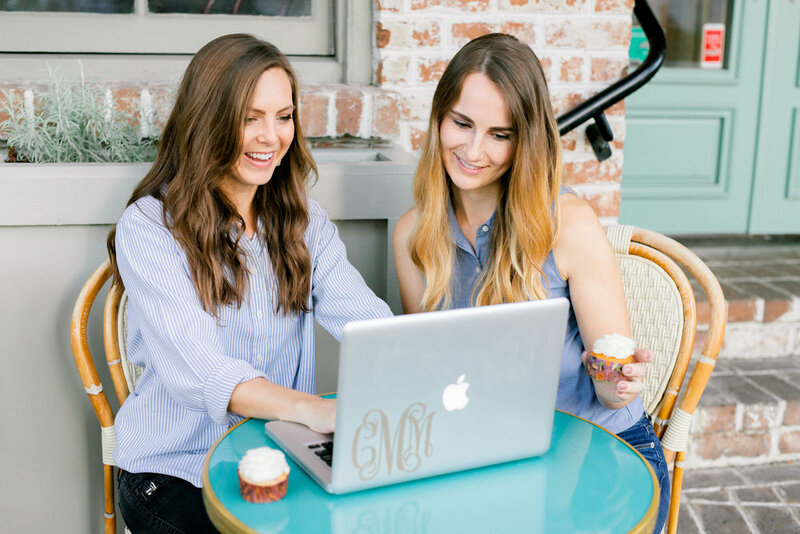 And of course, we have included TONS of drop-shipping options, so if you’re looking to expand your business, this is a dadgum genius way to do it without having high shipping fees. Copyright 2018 Biz Birthday Bash. All Rights Reserved.